The concept of demigods, or devtas, is ancient and is prevalent across the Himalayan region. The belief that these demigods rule over the land as owners, and take care of the people and their possessions, has led to a unique cultural system in the region. Traditionally, demigod worship is based on the concept that people work for the god and in return the god provides them with sustenance and protects them from harm. Each village worships its own devta, and devtas themselves have a leader who presides in their region or ‘kingdom’ and to whom they report. Each kingdom in Himachal Pradesh has one main devta whose priests and caretakers are members of that royal family. Kullu, a small town in Kullu district of Himachal Pradesh, is a good example of this system. This is where Kullu Dussehra, an internationally renowned festival in celebration of Dussehra, is held every October. The history of Kullu Dussehra dates back to the 17th century when a local deity known as Raghunathji was brought to Kullu from Ayodhya, Uttar Pradesh, and became the head deity of Kullu Valley. Every year at Dussehra around 200 of the local deities come to Dholpur Maidan to offer their respects to Raghunathji. The festival is the only one of its kind in the entire Himalayan region, and it continues to grow year by year. It is a huge event for the local people, as well as for visitors from around the world. People from Ladakh, Manipur, Arunachal Pradesh, and other Himalayan states also attend and participate in the mega event. It is not just about gods and their devotees—there are other cultural festivals that take place at this time, as well as sporting events and small-scale trade. Traditionally, at Kullu Dussehra, regional arts and crafts were exchanged, which led to the promotion of local artisans. Over the years, Kullu Dussehra has evolved and changed, and it is now a more commercial event than it was in the past. While in earlier times the participating villagers would dance and sing in the moonlight with their devtas, this is a rare sight now. Traditional clothes and other items have now been replaced by goods from around the world. Kullu‘s history is difficult to trace as there are few written records on it. Most of what is known is from oral histories that have been passed down through generations. Among the few reliable texts on Kullu’s history, two notable works are The Himalayan Districts of Kooloo, Lahoul and Spiti, written by Captain AFP Harcourt (1871), and Vanshawali, the Genealogical Role of Kings, by Dr Hirananda Shastri of the Archeological Survey of India (ASI). Originally, Kullu was known as Kuluta. References to it can be found in Sanskrit texts such as the Vishnu Purana and the Ramayana. It was ruled by over a hundred kings over the ages. The documented history of the valley begins in the 1st century AD with the Pal kings, who are believed to have come from the plains, and are said to have numbered 85, according to Captain Harcourt. They established their first seat of the family in Prayag (present-day Allahabad), and from there migrated to the mountains of Almora, in what is now Uttarakhand. They were succeeded by 15 Singh kings. According to ancient lore, Vihangmanipal came to these hills and founded his dynasty in the valley. Kuluta—now Kullu—is one of the oldest dynasties in the mountains (Singh 2016). It is believed that there was a priest called Durga Dutt in Teepri village in Kullu, and one day, rumours spread that he possessed precious pearls. The king, Raja Jagat Singh, coveted these pearls and so ordered his men to seize them. Soldiers went to Durga Dutt and ordered him to give them the pearls, though he did not have them. The priest, fearing torture and disgrace, set his house on fire with himself and his family inside, and they all burned to death. As he died, he cursed Jagat Singh, saying, ‘Have the pearls, O King!’ The King, realising his sin, and troubled by the spirits of the innocent Brahmin family, mourned the pain and agony he had caused (Menon 2017). Wracked by guilt, he began hallucinating and saw worms in his food and human blood in his glass instead of water. Though saints, courtiers and hakims tried their various techniques, nothing could assuage his guilt or free him of the hallucinations. The medicine of vaids or practitioners of ayurvedic medicine was not successful either, nor was the intervention of holy men. Finally, Krishan Dutt (Pahari Baba) offered his guidance and said that no medicine would be able to cure the king except the blessing of Lord Rama. He suggested that the king take the charanamrit (holy water) of an idol of Lord Rama. The king had no choice but to order his courtiers to bring him a Lord Rama idol from Ayodhya. This task was entrusted to Damodar Dass, a disciple of Bairagi (Saint) Krishan Dutt. Damodar Dass had a miraculous power through which he was able to procure the idol from Ayodhya for the king in July 1651. He also brought a pujari (priest) from the Tret Nath temple in Ayodhya. The idol was installed near the Rupi Palace in Raghunathji's temple at Sultanpur. Priests were brought from Ayodhya to conduct special rituals for Raghunathji, and their descendants still conduct these rituals (Singh 2016). Thereafter, King Jagat Singh began to recover. He was so impressed by the divine power of Rama that he abdicated his throne and became Raghunathji’s chharibardar (staff bearer) (Sharma 2001). His action had a great impact and led to the acceptance of the lordship of Raghunathji by all the devis and devtas of the region. The king sent an order to the kardars (managers) of the local deities in his kingdom to assemble at Kullu on Vijyadashami to first pay homage to Raghunathji, and then participate in the festivities of Dussehra. This was the beginning of Kullu Dussehra, which is still celebrated with much devotion and enthusiasm. The concept of devis and devtas is unique to the mountainous regions of India, and they are known to also own land and pay taxes. There is a clear hierarchy of devtas in Himachal Pradesh: the family devta, the clan devta, the village devta, and the regional devta. The kings of Kullu came originally from Haridwar, bringing with them their gods from the plains. They installed these gods in Kullu and made them landowners. The kingdom was, at one point, given entirely to Raghunathji. He became its owner, and all the local demigods, to whom he awarded land, were his subordinates. These demigods had kardars who took care of the property and served the devta. This has led to very strong ties between landownership and the devi/devta system. Raghunathji is the principle god of this region, but there are many other important gods. Hirma Devi (also called Hidimba Devi) is a popular aboriginal deity who aided kings in establishing their rule and expanding their kingdoms. There is also Jamalu Devta who holds an independent position, but is hostile to Raghunathji. 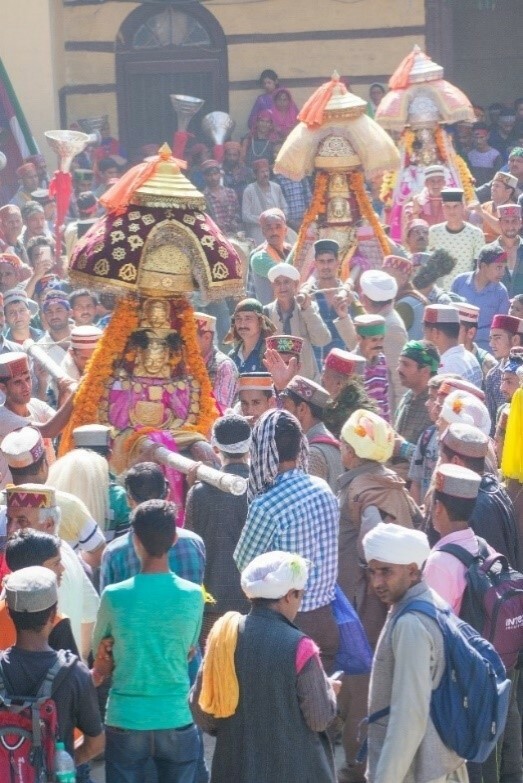 However, all the devis and devtas of Kullu assemble at the Dussehra fair annually, when the Thakur (head), Raghunathji, is carried in a procession from the college grounds to Dholpur Maidan. This procession begins only after the arrival of the very powerful Hirma Devi, who resides in Manali. The only 'popular' god from the plains is Narain, a manifestation of Vishnu, brought from Punjab. The Nagas—numerous in Kullu—are aboriginal snake gods believed to be the spirits of springs and rivers. They are believed to have descended from Basu Nag, the father of all Nagas, whose temple is at Kamarhati in Kothi Naggar. There are many other gods, each with their different stories and their own powers or features. For example, Garman Narain Devta is said to be a god before whom none dare to swear a false oath. New gods are also born and are given the power to rule over the land. However, the concept of gods owning land is decreasing, and it is now the kardars who own the land and work for the god. Local fairs and festivals are attended by devotees of the village god and also by visitors from outside the village. Dussehra starts in Kullu when it ends in other parts of the country, that is, on the tenth day of Dussehra, when effigies of Ravana are burned elsewhere. In Kullu, Dussehra is a seven-day event, with devtas and devis from the rest of the valley arriving in Kullu before the beginning of Raghunathji’s rath yatra (chariot journey). On the first day of Dussehra, devis and devtas go one by one to meet Raghunathji in his temple, accompanied by drums, trumpets and devotees. On their return, they visit Rupi Palace to meet Raja Maheshwar Singh and his family members. These devtas discuss their concerns with the raja by means of their goor, the person who talks to the devta and is believed to be more truthful than the kardars. The raja listens to the devta about their concerns regarding their region and gives suggestions onbehalf of Raghunathji. After all the devtas have visited Raghunathji in his temple, the idol is taken to the maidan, accompanied by the raja and the other devtas, in a procession through narrow streets where people assemble on their balconies and rooftops and on the road to catch a glimpse of their lord. The procession finally reaches the college grounds where the rath is waiting for Raghunathji. Placed in storage for the rest of the year, this rath is decorated for the occasion with coloured fabric and is prepared for the arrival of the gaily attired idol of Ragunathji. Attached to the rath are large ropes, pulled by devotees and local residents. Nag devtas lead the procession, acting as traffic police and clearing the crowd from the path. It is believed that the devtas used to manage the festival previously, and that each had a specific role to play. Most of these functions are now managed by the administration and the kardar union. The rath is pulled to a makeshift temple constructed on the Dholpur Maidan for the occasion, and the idol of Raghunathji is placed there. Hundreds of village gods attend this seven-day fair, and each has their own palanquin. At night, in Kala Kendra, the cultural centre, an international dance festival is held, and the show is attended by thousands. The devotees turn to their devta in times of trouble and for their daily needs. Attendance at the fair is still generally enthusiastic. Idols are shown to advantage, and every available banner, trumpet, and drum is called into use for the occasion. The festival of Kullu Dussehra has evolved over time to become more vibrant and commercial, but it has also lost some of its older rituals. The traditional dance form, natti, used to be the only entertainment available to attendees, and it was how both men and women from the community expressed their feelings. This dance is still performed, but at a much larger scale. In earlier times, this dance was performed by moonlight at Dholpur Maidan, around the tents where devotees were staying, but this custom is dying out. For the last few years, the dance had been organised in the arts centre, and the spirit is one of competition rather than devotion. The local touch seems to have been lost. When the celebration of Kullu Dussehra first began, it was limited to the Kullu kingdom. 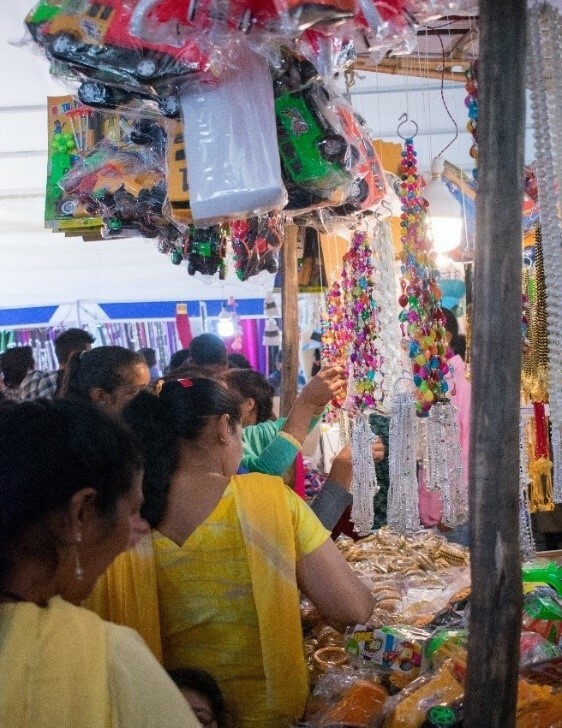 People from the area would come with their devis and devtas, and they would bring the produce from their farms or handmade products to sell at the fair. As the festival grew, so did trade. People from further away began to sell their products during the festivities, and machine-made articles started to gain ground. Eventually, these mass-produced, branded goods from places like Ludhiana and Saharanpur took the place of locally-made clothes, pottery, etc. In earlier times, Dussehra was organised and celebrated under the guidance of the king. Now, the kardar union, in coordination with the district administration, organises this mega event. It assigns a place for each of the demigods and their devotees, arranges accommodation, and helps with travel expenses. Each devta’s expenses are now subsidised according to their status. Where formerly they were brought by devotees on foot, they are now transported from their villages and towns by motorised vehicles, along with luggage, and are carried in palanquins only after reaching Kullu. In earlier times, a buffalo, a male lamb, a fish, a crab, and a chicken were sacrificed on the concluding day of Kullu Dussehra. Because of protests by animal rights activists, sacrifices are now officially banned, though they still occur in out-of-the-way places and with only a very few people present. Trade during this festival has changed dramatically. Traditional handmade items have been replaced by branded commercial goods. The festival’s status as an international fair and the international tourists who have started to attend in large numbers have contributed to the increase in commerce and a boost to the economy of the region. Cultural activities have taken centre stage at Kullu Dussehra. Every year, a particular theme is chosen, usually related to a social issue. This year’s theme was Beti Bachao, Beti Badhao (‘Save a girl child, educate a girl child’), and many activities were designed around this theme, including cultural activities at the Kala Kendra. 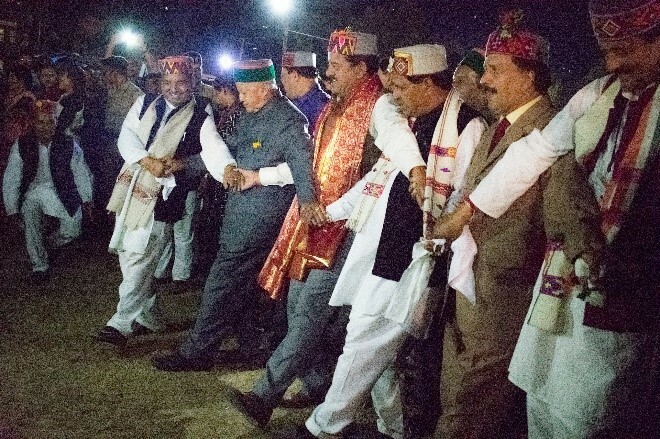 Traditional dances and folk songs are performed by artists from various parts of Himachal Pradesh, and artists from the rest of India and around the world also come to perform. Kullu Dussehra showcases the region’s cultures and traditions, and makes them visible to a national and international audience. 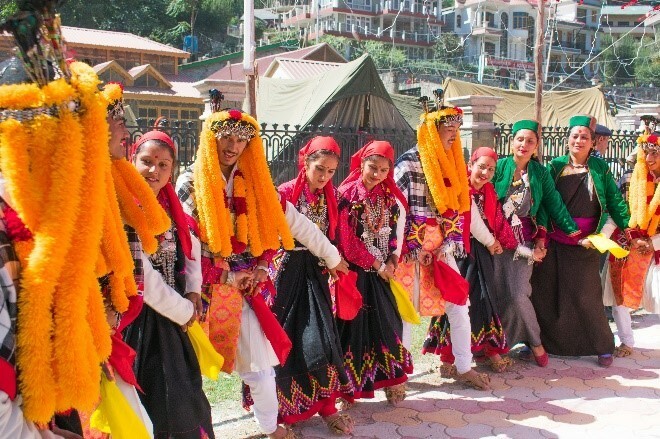 From religious activities to traditional food, everything about Kullu’s vibrant culture is available for visitors to experience. It us as if Kullu’s entire culture is on display at Dholpur Maidan. Traditional products from the hinterlands of Himachal Pradesh are made available for purchase, spreading awareness about the region’s traditions and thus encouraging people to promote their preservation. Kullu Dussehra usually takes place at the end of October, before the onset of the winter. People travel from faraway places to participate in the festival and to buy necessities to use throughout the harsh winter months, such as clothes and food items. People from around the world come to see and participate in the festival of Kullu Dussehra, resulting in positive interactions between people, and mutual learning about cultures. Information and ideas are exchanged at a more local level: government schemes are announced, and people are made aware of government facilities and services. Kullu Dussehra is one of the most important festivals in Himachal Pradesh, and it is a beautiful representation of the traditions and culture of this Himalayan region. The monarchy system came to an end following the advent of the Indian political system, but here in Himachal, traditional rajas still exist and take care of Ragunathji, the main deity of the valley. The festival is a mega event and helps preserve and promote local arts, crafts, and traditions. Devotees gather together to catch up and stock up on supplies for the harsh winter. Kullu Dussehra has gradually become much larger and more grand, which has both positive and negative implications. Traditional goods have gradually vanished from the market. Very few shops selling such products can be found during this festival. The variety in the traditional dance style, natti, is also diminishing. 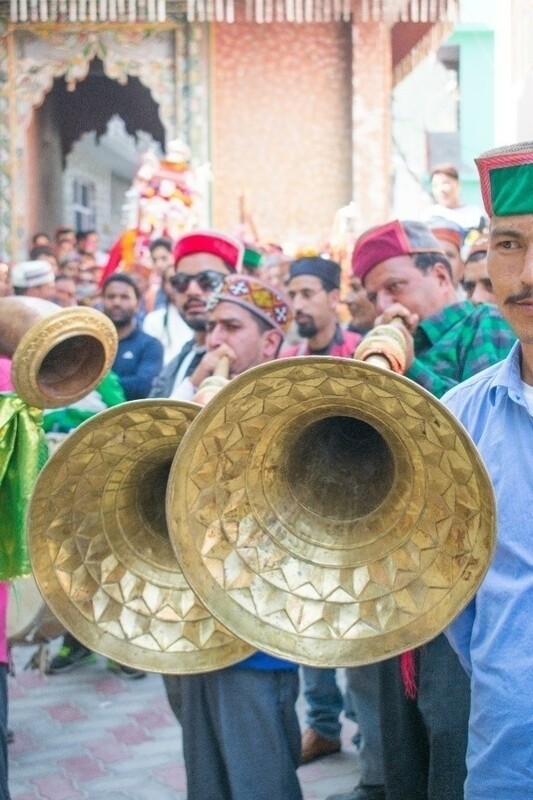 Traditionally, every village of the region had their own style of natti, which was performed by the people accompanying the devta of their village. Now the culture of performing natti by the locals for their devta has almost disappeared. Artists from specific villages perform the dance during the festival, that too in an auditorium. Over time, Dussehra is changing, and with it the culture and traditions of the area. It is imperative that we devote serious effort to protect and preserve this unique culture. Harcourt, Alfred Frederick Pollock. 1871. The Himalayan Districts of Kooloo, Lahoul and Spiti. Delhi: Vivek Publishing House. Sharma, V. 2001. Kullu Darpan. Jalandhar: Hindustan Press. Singh, M.G. 2016. Himachal Pradesh Ka Itihaas. Shimla: Himachal Academy of Arts, Culture and Language.